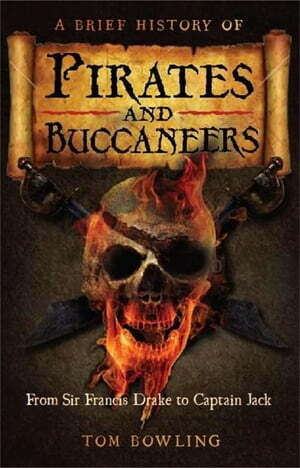 Collins Booksellers - A Brief History of Pirates and Buccaneers by Tom Bowling, 9781472107701. Buy this book online. From Stevenson's Treasure Island to Pirates of the Caribbean, the romantic image of pirates in popular culture has long been with us. But pirates are not all as charming as Johnny Depp. In ancient times Thracians, Cilicians and Illyrians terrorised traders in the Mediterranean, while the Barbary pirates of North Africa instilled fear wherever they went from the Holy Lands to the coast of Ireland. It was not until the age of Discovery, when ships began to cross the Atlantic carrying unimaginable riches from the New World that the traditional image of the buccaneering pirate was created. In England, heroes such as Sir Francis Drake were feted for their exploits against the Spanish fleet in which piracy was little more than state-sponsored terrorism. Tom Bowling's lively history explores many of the myths and true stories about the notorious outlaws of the oceans: including Captain Kidd, Blackbeard as well as Mary Read and other famous female pirates.